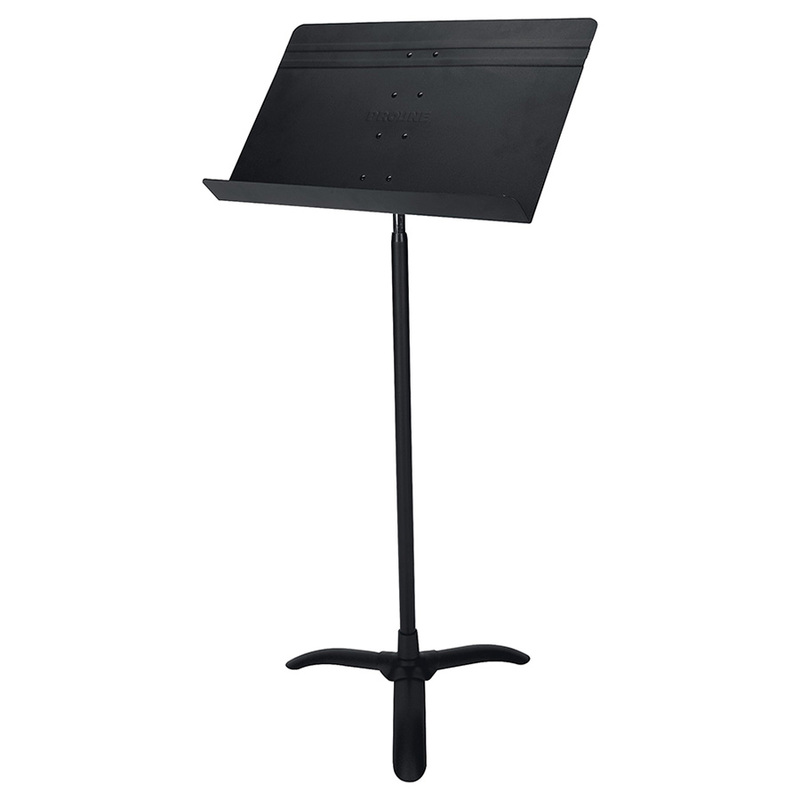 The Proline PL48 Conductor/Orchestra sheet music stand is a perfect music stand for students and professionals. It features a popular design with hands-free clutch. The height adjusts from 29″ to 51″, and the deck is 20″W X 12-3/4″H with a shelf depth of 2-1/4″. This ProLine stand has plenty of room to hold enough sheet music for an entire performance. The music stand’s rugged construction and durable, non-reflective powdercoat finish ensures years of trustworthy service.